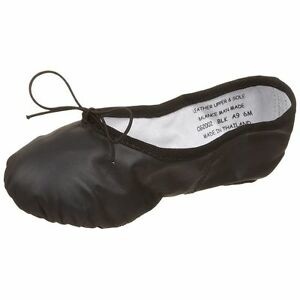 A split-sole designed and professional quality ballet slipper made of lightweight soft leather that helps eliminate excess material at the toes, arch and heel. 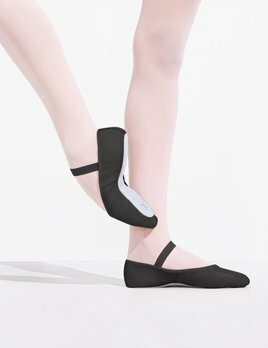 The shoe hugs and enhances the arch for perfect flexibility with the dual seaming in the instep. The elastic drawstrings will help ensure a perfect fit. Elastic is included for individual attachment.